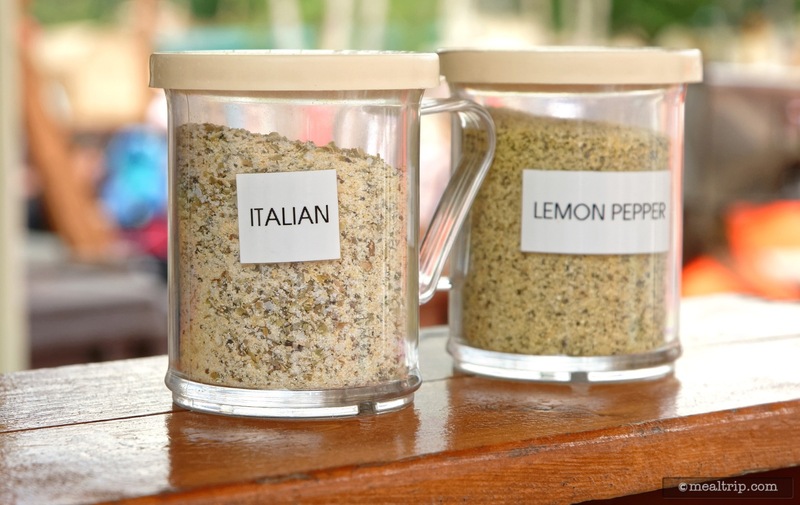 The Liberty Square Market listing is a Kiosk or Cart dining location at Magic Kingdom featuring Vegetarian Options and American cuisine. There are 5 photos in the Mealtrip photo gallery for this location and dining period. 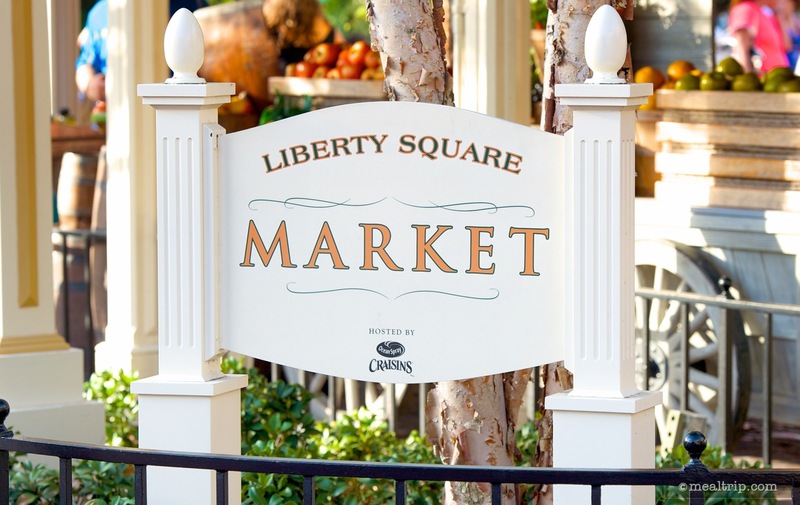 The Liberty Square Market listing currently has a score of 71 out of 100. 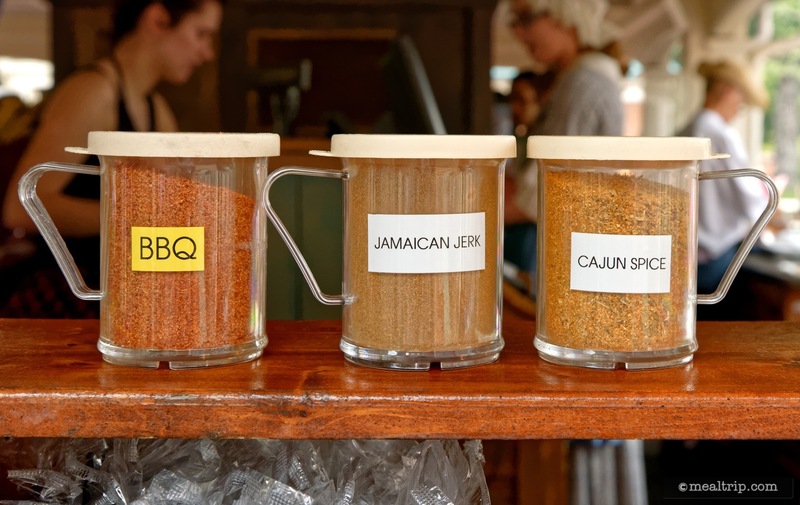 Click here to read all of the reviews for this location, or log in to Mealtrip.com to add your own review for Liberty Square Market. 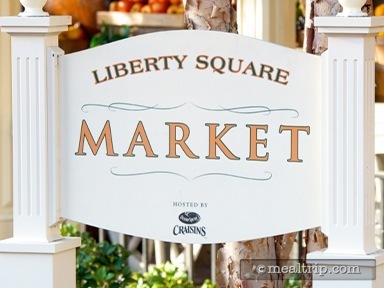 Liberty Square Market sign, which is located just behind a seating bench, so it's not always easy to see. 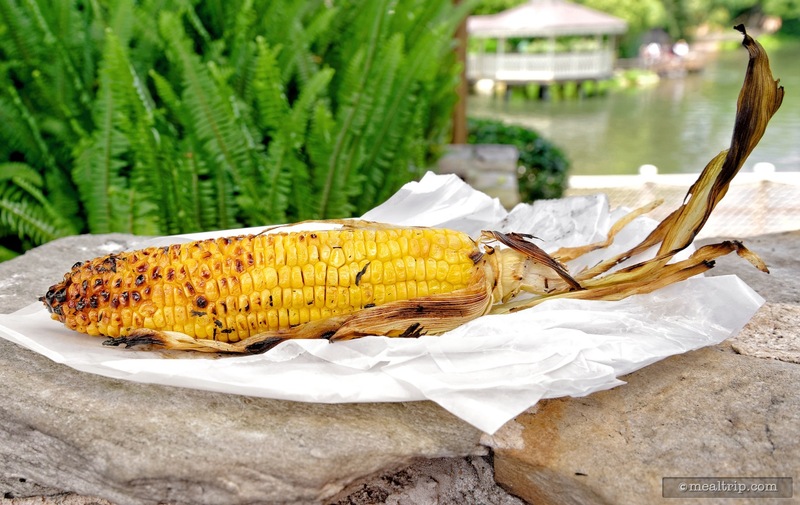 Fresh Roasted Corn on the Cob is a great snack, especially on a cool, autumn day. There are some interesting flavored salt shakers around the register area. Presumably these are for the Roasted Corn and Baked Potatoes. Hummmmm... I don't think they had see-through plastic shakers in the 1800's, but at least you can see what you're getting this way! 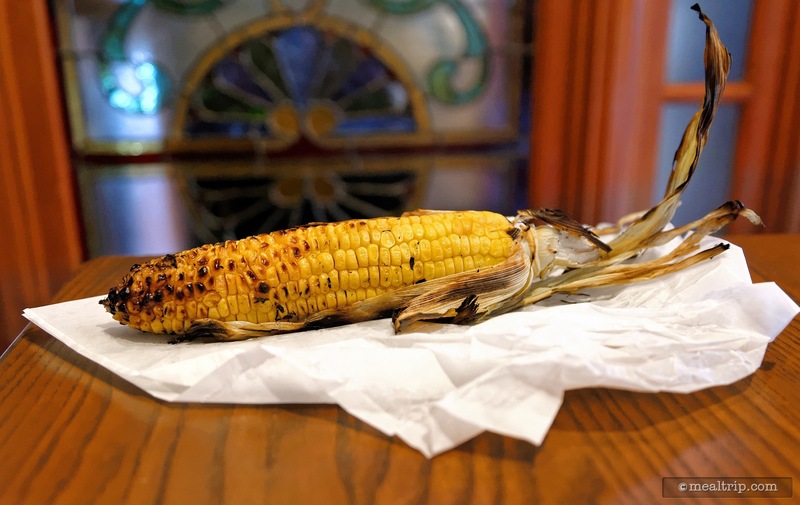 The grilled corn from the Liberty Market is crisp, smokey, and a little sweet... unlike canned or boiled corn, which can start to get "milky" if allowed to sit for too long.